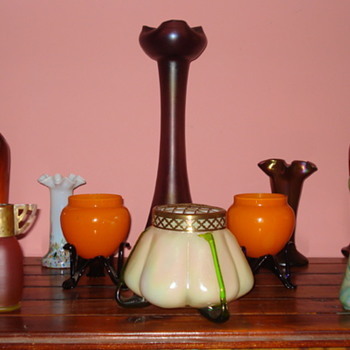 Slave-to-glass has not created any collections yet. What are collections? Wow, this is amazing! Just love it! Well I'm not worried about substantiating... seems pretty RARE to me :) Great buy! These are amazing. Great find! Oh wow Marty! That is stunning... love it! Glad I got to love this one again. It's worth 2 loves! Don't see many orange flowers! Really unusual.. Love it! OOh... love everything about it! 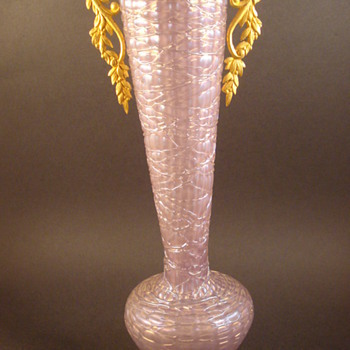 Gorgeous vase. Really like the colour! Stunning! Love the detail on it! Just beautiful! Hardly ever seen that stem! Sadly we've all experienced this more than once and some lovely antique vases that have lasted years and years get destroyed by terrible, careless packing. Wow, that's a big vase! I didn't know they made them in that colour and I don't usually go for that colour either but it has a lot of appeal. Well spotted! Omg you better send that to me instead of it going into a box!! Amazing! I actually like the whole 'heart' look :) What was the original idea behind it I wonder. They certainly have that look about them Inky. Hopefully someone can confirm that for you. It would be an amazing find! Not one but two! I'll take a pic and post when I can. Size is a very noticeable difference and maybe a lot 'neater' in the making.